Visit multiple Florida habitats while following the complete cycle of water – from rain and stormwater runoff into estuaries to groundwater and aquifer recharge. Observe the effects of seasonal drought and heavy rain at Myakka River State Park. 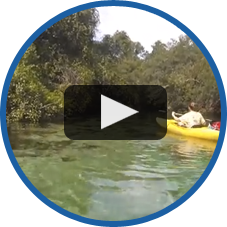 Venture through a shady floodplain forest, then explore Myakka Lake by canoe. Spend another day snorkeling in two sparkling spring-fed rivers. Encounter curious bluegill fish in Rainbow River, and come face-to-face with gentle manatees in Crystal River. Collect and compare water quality data from different sources, and follow Florida’s water connections toward the Gulf of Mexico. Witness the dynamic between land and sea, as inland freshwater meets saltwater in the Tampa Bay estuary. 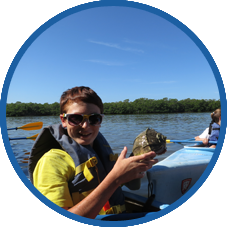 Study the extensive biodiversity and vital habitats of a barrier island through kayaking and snorkeling. End the journey with a thorough understanding of how water shapes and connects our ecosystems, no matter where we live. Read to experience all our Edventures have to offer? Give us a call at 941-462-2162, or fill out the contact form on the right. Call us at 941-462-2162 or fill out the form below to secure your field trip dates! What field trip would you prefer?